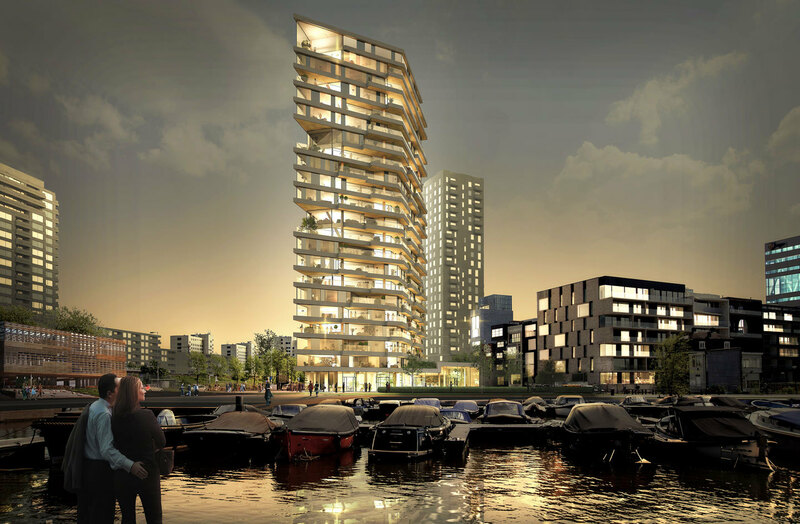 Amsterdam has plans in the future for a new residential tower made from wood. 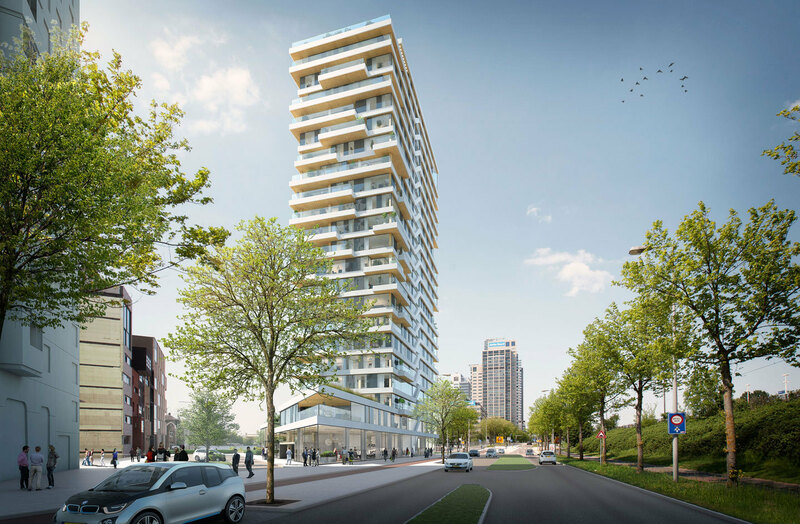 Arch Daily reports that the tower will be 73 meters (240 feet) tall and will become The Netherland’s tallest timber framed building. 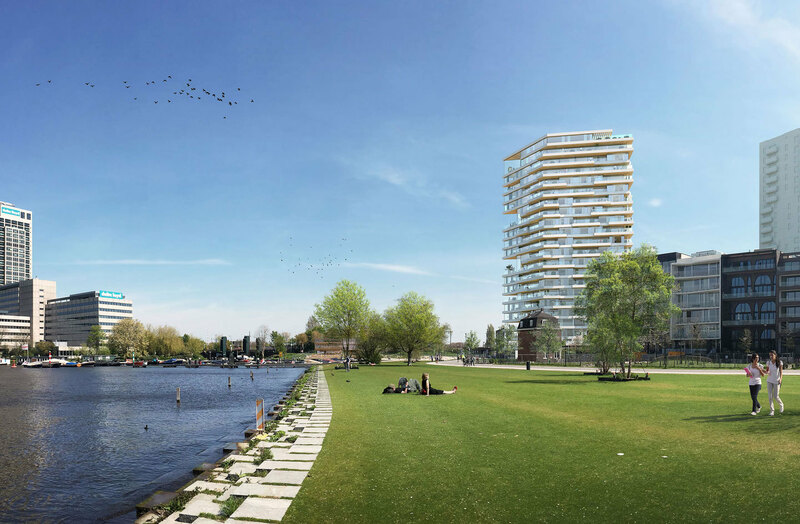 The project is called HAUT, short for “Haute Couture,” and will located next to the Amstel River. 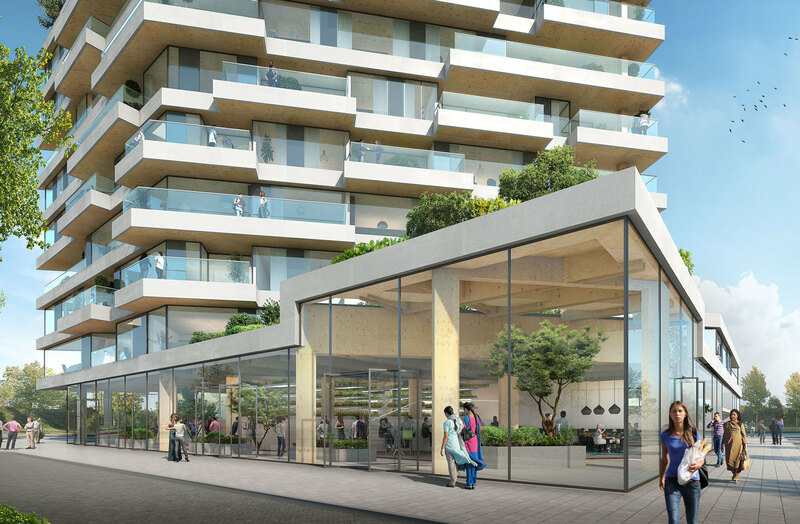 HAUT will be designed by Team V Architectuur with Lingotto, Nicole Maarsen and ARUP. The building will be made up of 55 apartment units within the 21-story building. 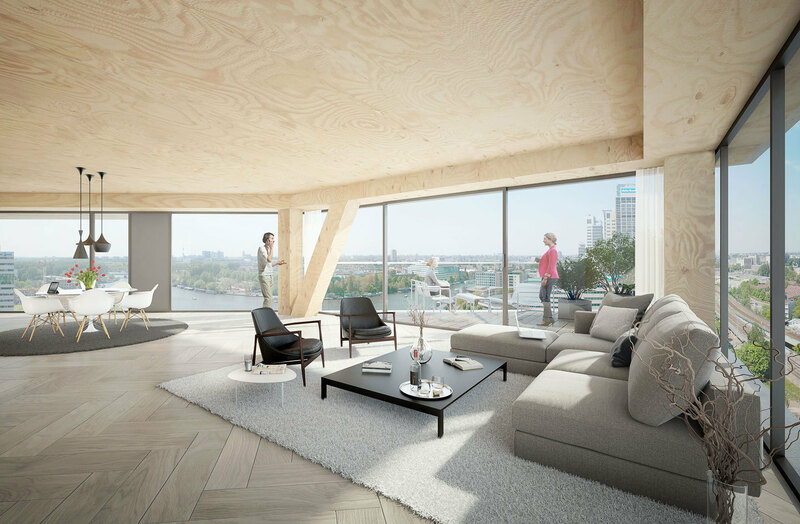 The interiors are currently designed with exposed wood and large windows overlooking the river and city. The sustainability of building with wood is also apparent in HAUT. Arch Daily says that over three million kilos of carbon dioxide will be stored in the cross-laminated pieces once completed. Energy-generating facades and wastewater purification systems are also planned to reach a BREEAM (Building Research Establishment Environmental Assessment Method) Outstanding rating.